This is a quick way to decorate a valentine. Fold cardstock in half. Draw half a heart out from the fold and cut out. Fold paper for the card in half or quarters however you prefer. 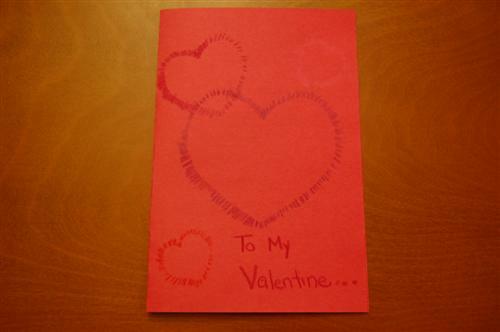 Lay a heart cut out on the card and draw short lines off the edge of the cutout and onto the card. Repeat step 3 with new sizes of hearts in different positions on the card. Write your Valentine a message.